In 1828, the company that would become Baker & Taylor was founded as a subscription book publisher and bindery in Hartford, Connecticut by David Robinson and B. B. Barber, who also opened a bookstore to sell their own and other publishers' books. In 1835, Robinson and Barber moved the business to New York City, and the business began its shift from original publishing to distribution for other publishers. In 1885, the concern was sold to James S. Baker and Nelson Taylor who, in 1912, abandoned the publishing business altogether to focus solely on the wholesale distribution of books to libraries and bookstores. In 1958, Baker & Taylor was sold to Parents Magazine, in 1970 to W. R. Grace & Co., a highly diversified conglomerate; in 1992, to The Carlyle Group, a private, Washington, D.C.-based merchant banking, and investment firm. The company expanded its offerings and in 2006 to Castle Harlan Partners IV, L.P., a private equity limited partnership. Baker & Taylor has more than 36,000 customers in more than 120 countries around the globe. Their customers include libraries (school libraries, university libraries, public libraries, professional and technical libraries, special libraries, etc. 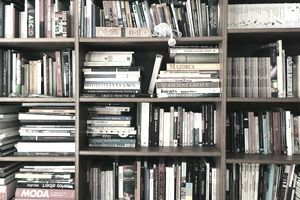 ), and other institutions, and they distribute to book retailers of all stripes, from wholesale clubs to big-box stores and specialty shops to independent bookstores and online retailers. With claims to the title of the world's largest distributor of physical and digital books and entertainment products, Baker & Taylor ships more than 1 million unique products annually. The wholesaler has developed long-term relationships with major book publishers, movie studios, and music labels and maintains one of the largest in-stock inventories of books, videos, and music in the United States. The company boasts an inventory of 385,000 titles, with a total of more than 1.5 million titles available for order. In addition to publisher-produced books, Baker & Taylor makes titles available via a print-on-demand program, which allows their customers immediate access to texts that might not otherwise be readily accessible. In addition to distributing products from a wide variety of publishers and labels, Baker & Taylor publishes several lines of books through Baker & Taylor Publishing Group, which includes Silver Dolphin Press, Thunder Bay Press and Portable Press, which is the imprint that publishes the best-selling Uncle John's Bathroom Reader series. In addition to shipping individual titles, Baker & Taylor partners with technology companies to help their suppliers manage bundled physical and digital content, and to give their customers digital and print-on-demand solutions. Services such as YBP Library Services and Majors Education Solutions provide integrated solutions for the academic and technical markets. Axis 360 — a digital media library system that enables libraries to circulate digital books and audiobooks in a variety of formats optimized for a variety of devices, such as e-readers, mobile phones, tablets, etc. TextStream - combines POD direct fulfillment (CDF) capabilities and web hosting platforms, TextStream makes publishers' titles available to Baker & Taylor customers worldwide for POD and print-to-order (PTO) needs. Collection HQ - helps libraries select, manage and promote their collections with a fully hosted web application accessible via web browser. Blio - a cross-platform e-reader software application. Due to their customer base of libraries and inspired by the long tradition of library cats (which, according to the Baker & Taylor website, were "employed" to keep rodents from eating the bookbinding glue), the company's mascots are a pair of cats. The pair—named Baker and Taylor—are based on actual cats and appear on company totes, posters, and calendars.